Although it has one of the biggest budgets in government, the Philippine Department of Social Welfare and Development is hindered in its ability to fully assist in the rehabilitation effort in Marawi City because of the continuing war between the military and the Maute Islamist group. 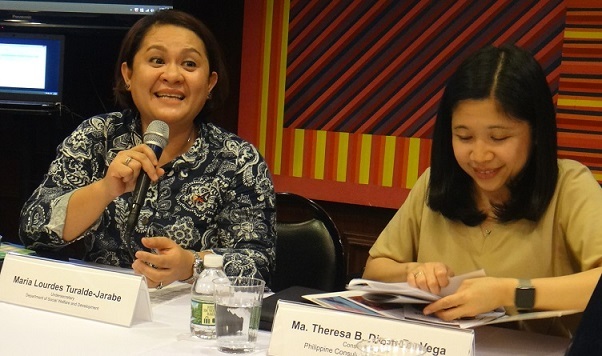 “Mahirap pasukin kung may crossfire,” said Undersecretary Maria Lourdes Turalde-Jarabe in a June 14 meeting where she gave the Filipino American community and media a situationer on the crisis in Marawi. 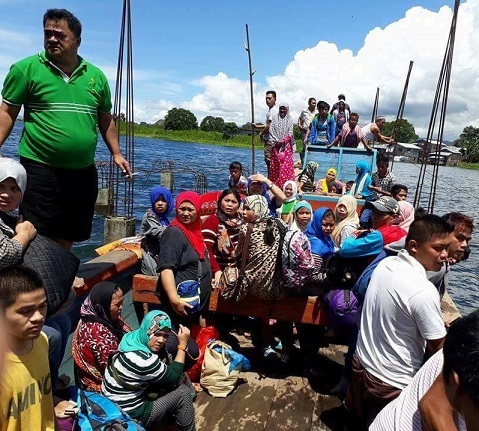 Turalde-Jarabe said the DSWD has provided assistance to an estimated 300,000 individuals relocated in temporary shelters and evacuation centers or transported to homes of relatives in nearby provinces. The capital of Lanao del Sur, also its largest city, Marawi has a population of about 200,000 but the number of Internally Displaced Persons (or IDPs) of 300,000 is believed to include residents of suburban towns. Many of the families of IDPs also received cash assistance of P5,000 (approx. : $104). The evacuees were also given bags of food, but unfortunately, according to Turalde-Jarabe, some of the donated food are “not halal certified.” She said the DSWD will make sure that only halal food will be distributed to Muslim residents. On May 23, Maute militants reportedly aligned with Al Qaeda, attempted to take over the predominantly Muslim city. Government troops were able to repel the group, but have not totally defeated them. Fighting continues, with U.S. troops providing support. As of June 21, 26 civilians, 276 militants, and 67 government troops have died, according to media reports. 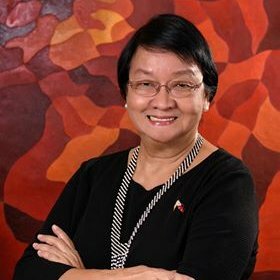 The DSWD, led by Secretary Judy Taguiwalo, has a budget of P130 billion (approx: $2.7 billion) for 2017. It has the fifth biggest budget, after the departments of Education, Public Works and Highways, Interior and Local Government, and National Defense. Turalde-Jarabe also delivered a presentation on the programs of the DSWD guided by the theme of “DSWD May Malasakit” (DSWD Cares). She highlighted the various programs, namely: the Pantawid Pamilyang Pilipino Program popularly known as the 4Ps, KALAHI-CIDSS anti-poverty program, Sustainable Livelihood Program, Tulong-Pampaaral (education assistance), Tulong-Medikal (medical assistance), Tulong Pamasahe (transportation assistance), Tulong-Pampalibing (funeral assistance), assistance for families and communities affected by calamities, assistance for solo-parents, and assistance for persons with disabilities. During the open forum, members of the community expressed concern over the loss of lives and destruction of properties in the conflict area. Potri Ranka Manis, a community leader, who herself is from Marawi City, appealed for greater understanding and awareness of the conditions in Marawi.